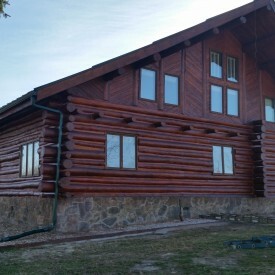 Maybe you have heard something like this before, and you don’t have to take our word for it, but 888-LOG-GUYS is the best log home restoration company in the Colby KS area! And as a matter of fact, we encourage you to not just believe our words but also try them out for yourself! 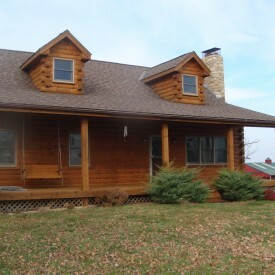 You will know what working with a professional, experienced log home care company should really be like once you have chosen us to either restore, repair, improve, or maintain your log home! Restoring a log home takes a lot of work, and our company will make the process so simple for you! Our 888-LOG-GUYS crew will start by blasting or stripping the old stain off your logs and then (per your preference) sanding the surface to a smooth finish. Next comes cleaning the logs with a borate treatment before applying chinking and caulking in between. Lastly, our crew will brush on the stain that will knock your socks off! You are guaranteed to be impressed with the final result! Rot is not an issue you want to procrastinate having repaired! If you have damaged logs due to rot, burrowing insects or bugs, or bird holes, then ask 888-LOG-GUYS to take a look and give you the best solution on fixing your log home. Our crew can repair minor damage or completely replace logs with extensive damage. 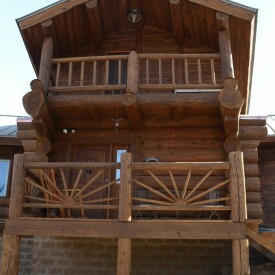 We want you to be pleased with your log home and satisfied about its condition. Call our number or request a quote from our website! If you are experiencing air drafts around your windows, water leaks through your log walls, and an infestation of unwanted bugs, then it may be time to have chinking or caulking applied or repaired in between your logs to protect your home. There is no need to tolerate these problems any more! Don’t wait and contact us by phone or through our website! Our staff is ready to give you the information you need to keep your home a comfy place. 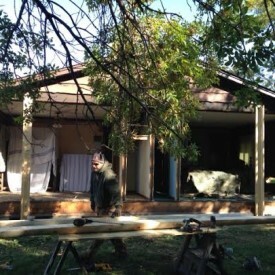 Our crew will come to your log home in the Colby Kansas area and build additions on your log home! We have experience constructing decks, porches, and patios. We can also build log staircases and log railings that would make your home even more unique and special to you. If you have plans or ideas of your own, no problem! We will listen and discuss how to help make your log home dreams become reality. Call us or send us an estimate request from our website! Log homes are beautiful and special, and they also take maintenance that any other home may not require. Use 888-LOG-GUYS as your log home care specialist, and we will always be there for the best service in the upkeep of your log home. 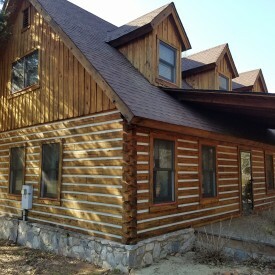 You can trust us to make sure your log home is in the best condition it can be. 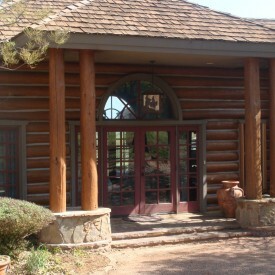 If you are unsure about what kind of care your unique log home needs, contact us for a consultation!